You Are Always Marketing – Be Intentional About It! itself as a unique and interesting marketing challenge. So what is marketing and why does your business need to do it? and forms public perception and drives choice. Marketing is a very intentional and carefully deployed message. Marketing takes customers through a psychological process of addressing objections, questions and concerns so that when it is time to choose, they choose you. actions taken will be random and fragmented. Secondly recognizing that you are always marketing, whether it’s yourself, your business, your services or your perception – whether you intend it or not. These messages continually shape perception and drive choices. I am honest and reliable. I am punctual and detail oriented. I am friendly and approachable. I have resources and capacity to go above and beyond. I have friends and allies. You can get exactly what you want with us. You are always marketing something, so be intentional about! 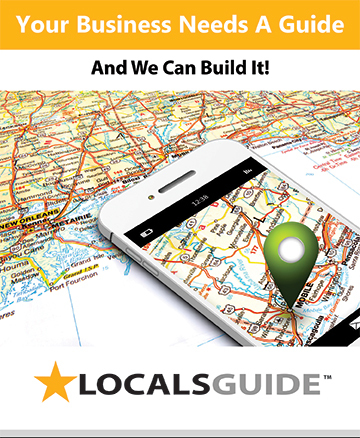 LocalsGuide was created as a marketing medium that goes far and beyond what an ordinary newspaper or online media source can provide. 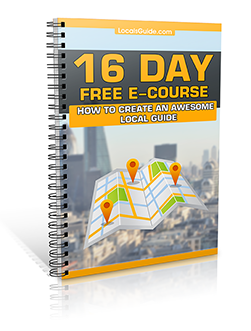 Business owners who have engaged the LocalsGuide opportunity make the most of their local marketing. Marketing your business with LocalsGuide is like chumming the waters, pulling out your biggest net and having an expert guide take you to the right place at the right time. For those who prefer to market by luck or chance… good luck fishing in a very large ocean with a tiny hook and worm! Remember: choosing to send no message is also a message. Actively Engage Your Marketing And Win! https://localsguide.com/wp-content/uploads/2015/12/local_marketing_professional.png 487 641 Shields Bialasik https://localsguide.com/wp-content/uploads/2016/03/localsguide_logo-1.png Shields Bialasik2015-12-11 23:45:002015-12-11 23:45:59You Are Always Marketing - Be Intentional About It! Don’t Make This Mistake With Your Business! Below is a recent phone interview that I conducted with local business coach and consultant Gary Einhorn. In our interview Gary talks about one of the biggest mistakes business owners make when setting out to market and promote their businesses. Shields: Gary, thanks for participating in our LocalsGuide Expert Interview Series. In your experience of working with hundreds of local business owners around the Valley, what are some of the biggest challenges that you see business owners are making in regards to local marketing? Gary: Thank you, Shields. The biggest challenge for entrepreneurs is marketing themselves. I am saying marketing themselves primarily and the business secondarily. I am not saying that marketing the business is not important, but I believe the emphasis should be on marketing one’s self as a primary focus. The key to this can be explained with two basic words: exposure and presence. This establishes credibility and builds trust. Shields: Do you feel that marketing for most business owners is solely focused on the business side and that they forget about themselves being an integral part of this equation? Gary: In most cases, yes. The reason this is important, is because people do business with people that they like and trust. At some level the customer is asking themselve this question. “Do I trust this person and are the credible?” If that’s the case, and I believe it is; then it is vital to place the emphasis primarily on marketing one’s self. Shields: What are some techniques that people can market themselves with, and then how do you suggest marketing one’s self first? Gary: First and foremost I suggest that my clients do as many presentations as possible. These can be done in many formats from public presentation to webinars and lectures. There are many venues for doing that here locally in Ashland. For example, one could present at the Rotary clubs, Osher Life Long Learning Institute, Ashland Food Co-op, or host their own lecture presentation at either the Ashland or Medford public libraries. Shields: What’s your thinking behind the presentation aspect? Is it an opportunity for the public to interact and get to see expertise demonstrated live? Gary: That’s part of it. But the other is so that people can see who this person is, what they are about, what their skill set is. They can also then determine if this is someone that they would potentially want to hire and work with. Presence and exposure. Shields: What about for business owners who own a retail shop? Lots of times when you walk into a retail shop the owner might be working there, but you don’t really know that they are the owner. Gary: Yes, I think it is important that every time a customer comes into a retail store that they be greeted. If it is someone that the store owner or employee knows, they should be greeted by their first name. Also whoever is greeting the customer coming into the store needs to identify themselves. Shields: Give me an example. Gary: “Good morning. Hi, welcome to my store. I am so pleased that you’ve come in here. Is there anything that I can do? I am the store manager” or “I’m the owner of the store”. I think it’s also important for whoever is in the store to be wearing a nametag, and not only a nametag, but perhaps as well, the position. Shields: I recently read an article about a store owner meeting and greeting new customers. The owner then handed a business card to the customer with a $25 off your next visit coupon. 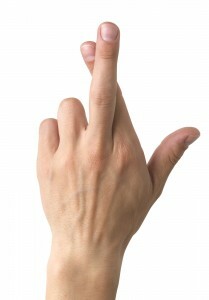 Many of the people became long term customers, because of that simple gesture alone. Gary: Yes, you’ve got to remember that the main goal is to establish a personal relationship as soon as possible with a potential customer. That is absolutely important. People want to be recognized and it will make a big difference for your business. Shields: I like that suggestion. What are some ideas for carrying the relationship forward after the relationship has been established? Gary: Well, I’ll give you an example. When I was growing up in New York City, I would often times go with my father to work. He and his brothers, owned 22 supermarkets in the New York City area. My father would then visit each of the supermarkets on a regular basis. Whenever he went in he would always address his employees by their first name. If he knew some of the customers, he would greet them as well. Most often he was engaging in friendly conversations. He had an incredible memory and could remember hundreds of names. Not only that, but he would also remember personal things about both his employees and customers. Shields: I remember you mentioning this is in our initial print interview. Gary: Yes, and I remember many, many cases. Wherever he went he would always ask someone “Last time you mentioned that your son had to go into the hospital. How is he doing?” And he wouldn’t talk about business. He would simply talk about the person and establish a personal relationship and the business would be secondary. Shields: Why do you think business owners aren’t as focused on establishing personal relationship these days? Gary: I think they forget how valuable and important it is. I also respect the fact that people are busy and there’s a lot happening. There are many, many hats being worn and chores to do. But you can’t imagine how important it is for a customer to be recognized and appreciated. I think a lot of that is lost in today’s world. But I do see many, many instances where it is still being practiced. I would also venture to say that the stores, for example, in Ashland, that are most successful are the ones that have established these personal connections and relationships. Shields: What has feedback been to you from businesses who are starting to market themselves first as you suggest? Gary: I’ve heard quite a few things but, mostly they are experiencing some very positive results, and often times quite quickly. It doesn’t need to take very long for it to begin to translate into increased sales and customer loyalty. Shields: What about in situations where it can take more time to build and create personalized connections. Is it still worth the effort? Gary: Absolutely! It’s important to establish these relationships even if it takes time. In the short run for some businesses it’s more work, but in the long run it’s what’s going to make these businesses thrive and have long term success. Shields: Out of curriosity, how do you see the Locals Guide giving people the opportunity to market themselves to fit this model that you are talking about? Gary: The LocalsGuide as a publication, (and I don’t say this simply because you are the editor) is a publication that almost without exception, I suggest to my clients. I suggest they do an interview and the accompanying ads because so many people read the LocalsGuide. The interviews provide an understanding and appreciation of who the particular person and their business is, and the results have been amazing, and you know this. There are some people who have done the interviews and many, who months later are still receiving calls and business from this exposure. This is a perfect example of what I spoke about initially of obtaining, when I spoke about doing presentations. In the LocalsGuide you have exposure, you have presence. You then provide the platform for a business owner to demonstrate expertise, thus establishing credibility. It’s an excellent vehicle for local business people to consider. Shields: Isn’t this the re-birth of a very old idea. Being involved, connected to and knowing ones community? Gary: Exactly! Yes, it’s an old fashion way of doing business. It’s a very personal way of doing business, and it’s a template that has been around for a long, long time. I would say, maybe we’re looking at a renaissance of this way of doing business. This is the way I do business and the way I suggest to my clients that they do business. Of course they can still use websites and social media and so on and so forth. Shields: …As odd as it sounds, shopping local for many local’s is actually asking someone to go out of their way. This means they need a really good reason why they want to get in their car and drive down town rather than shop online. Then you have someone like me who has a very short tolerance for bad customer service. About 30 seconds to be percise. If I don’t get the service I wanted you not only lost my business but also my referral. Gary: Well, you’re not the only one. If I walk into a restaurant in town and I know the owner and/or the chef and they greet me and they say, something like, “Hey Gary how are you doing?” or “I noticed you’re running, for the Ashland Co-op Board how’s that going?” And never talk anything about business just personal stuff, that’s the place I’m going to eat in. That’s the place I want to be because it feels I’m welcomed and it feels like home, that’s what I’m talking about. Shields: And people want to do business with friends, or at least people they like. Gary: Exactly. You also have to remember that when someone is a friend they will also be more tolerant of those bad customer service moments that we all have from time to time. Shields: I like what you’re saying, about this idea of renaissance because I think the whole shop local movement is moving into a entirely new frontier of getting to know and explore local. Gary: That’s right, and it’s not only happening in Ashland, but all around the world! https://localsguide.com/wp-content/uploads/2013/07/canstockphoto0825858.jpg 533 800 Shields Bialasik https://localsguide.com/wp-content/uploads/2016/03/localsguide_logo-1.png Shields Bialasik2013-07-11 16:35:262015-06-30 07:15:30Don’t Make This Mistake With Your Business!